The American Society of Anesthesiologists designates this enduring material for a maximum of 60.00 AMA PRA Category 1 Credits™. Physicians should claim only the credit commensurate with the extent of their participation in the activity. Non-physicians may receive a Certificate of Completion stating that this activity was designated for 60.00 AMA PRA Category 1 Credits™. 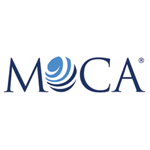 MOCA® Approval Statement: This activity helps fulfill the CME requirement for Part II of the ABA’s Maintenance of Certification in Anesthesiology program (MOCA®). Please consult the ABA website, www.theABA.org, for a full list of MOCA requirements. This activity is intended for physician anesthesiologists, anesthesia residents and members of the anesthesia care team. Disclaimer: The information provided in this CME activity is for continuing education purposes only and is not meant to substitute for the independent medical judgment of a healthcare provider relative to diagnostic and treatment options of a specific patient’s medical condition. Put your anesthesiology knowledge to the test with this ASA best-seller. Challenge your knowledge of the fundamentals in anesthesia, including subspecialty content tailored to the generalist. The ACE program will keep you current with clinical and professional guidelines, as well as help in meeting your commitment to lifelong learning. 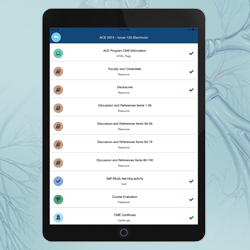 ACE is a great learning resource for physician anesthesiologists, anesthesiology residents and members of the anesthesia care team. Resident members are entitled to purchase ACE 2018 Issues 15A & B Electronic at the discounted rate of $75. The discounted price will appear in your cart after logging in. For assistance with placing an order, please contact ASA Member Services Monday through Friday, 7:30 a.m. to 4:30 p.m. Central time by calling (630) 912-2552 or emailing info@asahq.org. Group discounts available! Contact Nate Wicks at (847) 268-9214 or n.wicks@asahq.org to learn about group discounts.